Kalphonse (Karl) Morris, owner of the Urban Art Gallery. If you can find your version of the “it” that Van Gogh was talking about, consider yourself lucky. Despite life’s obstacles, to be able to say you’re in “it” with all your heart, can make all the difference. Exploring an urban myth: Tunnels under Jewelers Row? 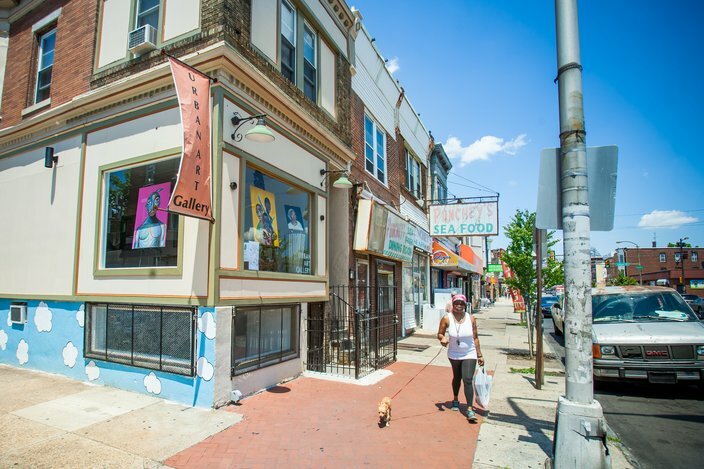 In an area of West Philly that has struggled with poverty, a growing community of people is finding “it” in a little storefront on 52nd Street known as the Urban Art Gallery (UAG). Shanina Dionna , a talented local artist, has been spending her Saturday mornings at the UAG, putting her heart into teaching 17 inner-city kids how to paint. “I didn’t have this opportunity when I was growing up, so I’m very happy and honored to be able to serve these kids through art,” said Shanina. These classes are free for kids and Shanina’s time and expertise are donated. For her and for the other contributors to the gallery’s programs, it’s about the love. Kalphonse (Karl) Morris, owner of the gallery, said he wanted to give West Philadelphians something to be proud of. 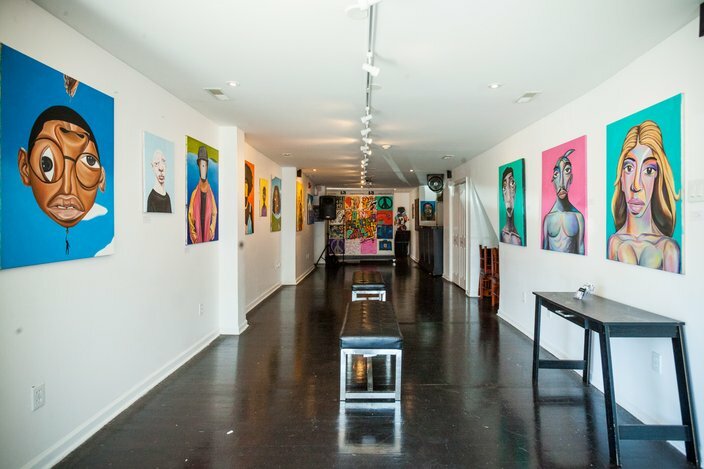 The Urban Art Gallery is located on the corner of 52nd and Irving Streets in West Philadelphia. On paper, the UAG is a nonprofit organization that functions as a venue, a program host and a traditional art gallery. But when you visit, it just feels different. There is no set-in-stone schedule on any given weekend, but if you wander in, you might stumble upon a culturally rich experience unique to Philly. Homegrown musicians like Brett Jolly regularly hold jazz parties where friends and the general public can escape the hustle and bustle of the city and mellow out to some good music. On Wednesday evenings, local standout Charles Edwards (Chuck Styles) has been holding live-art shows for free. And every other month, Philadelphians can get a little “Laff House” flavor when local comedian Mike Myers hosts his “Laugh Til You Cry” comedy showcase at the UAG. 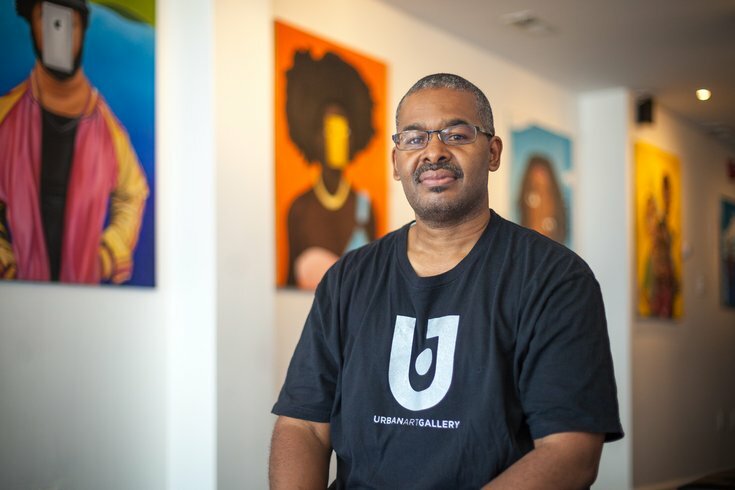 The Urban Art Gallery opens also regularly opens its doors to local philanthropists who need space to do good deeds. Every Thursday, Christian Weatherbe hosts, “TRL Midnight Run” where he and a group of friends pack a few hundred peanut butter and jelly sandwiches and go out and personally pass them out to the homeless. If the Urban Art Gallery seems hard to pin down, that’s on purpose. It’s what whatever the community needs it to be, a blank canvas ready to be filled. Paintings by Wilmington artist Alim Smith hang in the upstairs exhibition space of the Urban Art Gallery.